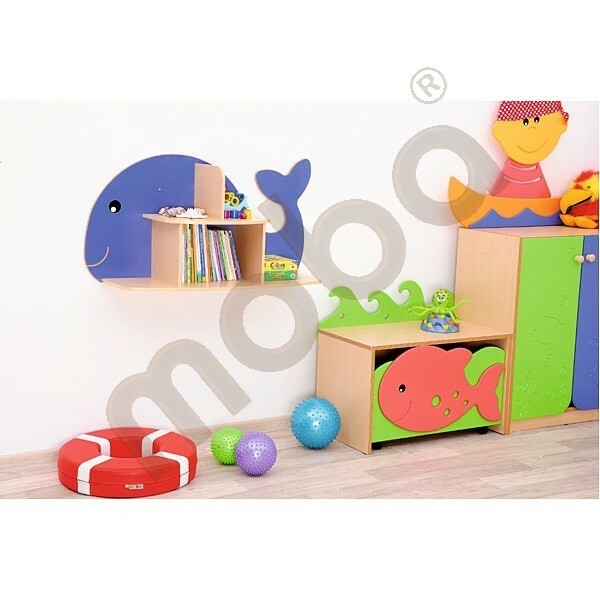 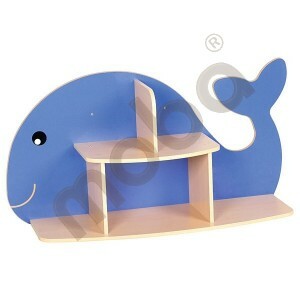 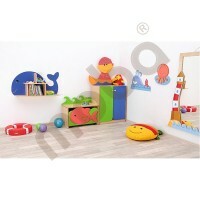 Two-level shelf with an appliqué of a large, blue whale. Made of MDF plate and laminated chipboard. To hang on a wall.